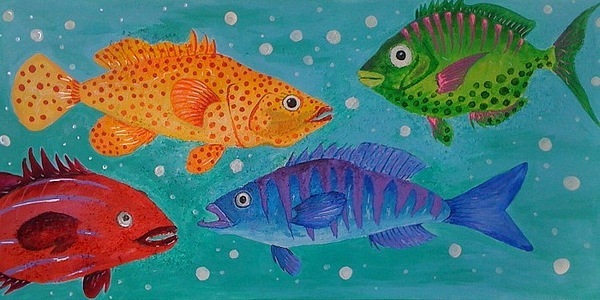 School's Out is a painting by Emily Reynolds Thompson which was uploaded on January 15th, 2010. 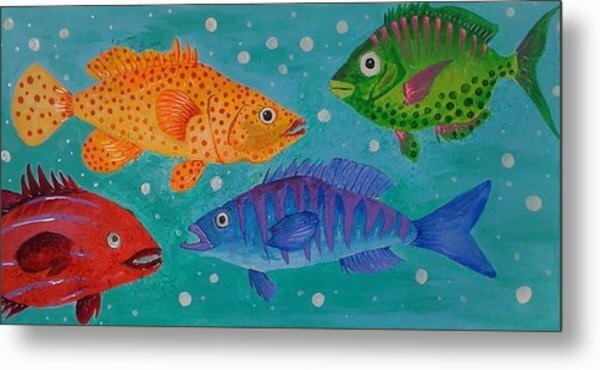 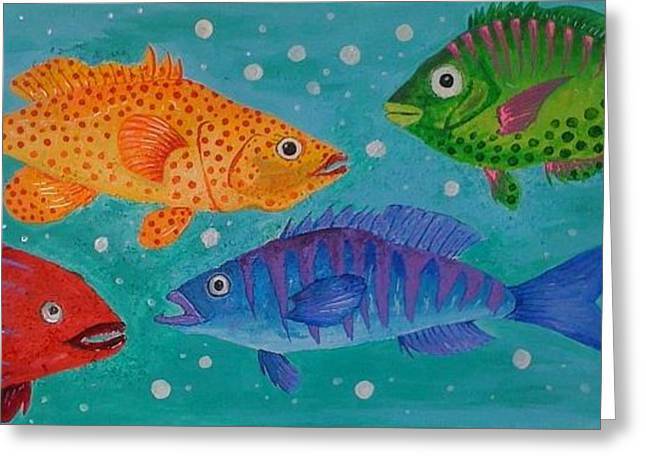 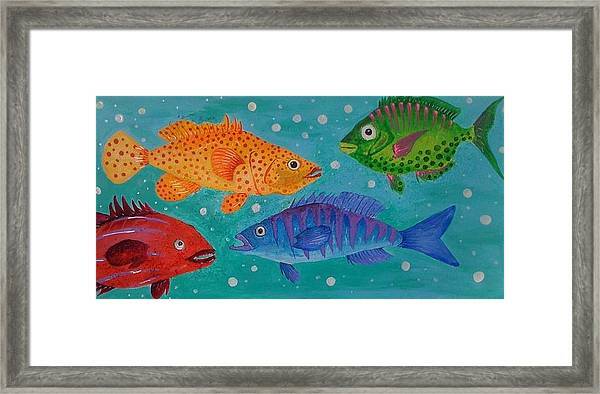 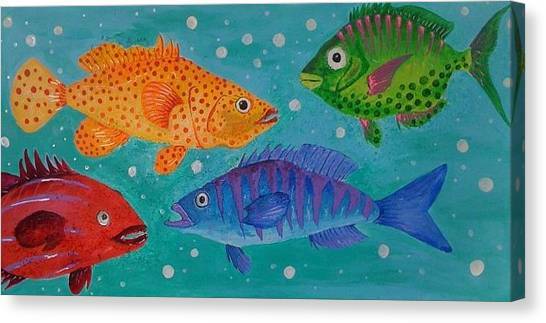 Four fish swim past each other in this fun, colorful scene. 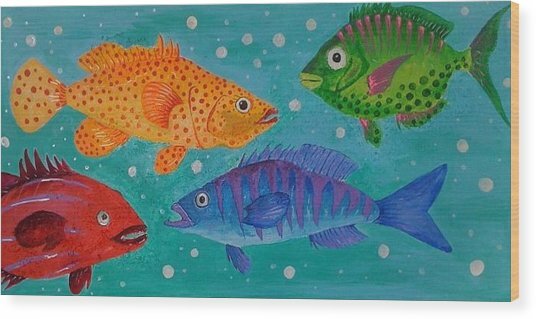 Painted over heavy textured canvas.